Taking part in an exhibition can be daunting for a company of any size. You’ve registered for a stand and you have set objectives to get sales leads, launch a new product, or maybe just build a customer database. The question on your mind is how do I differentiate my stand from the others and creatively engage potential customers? 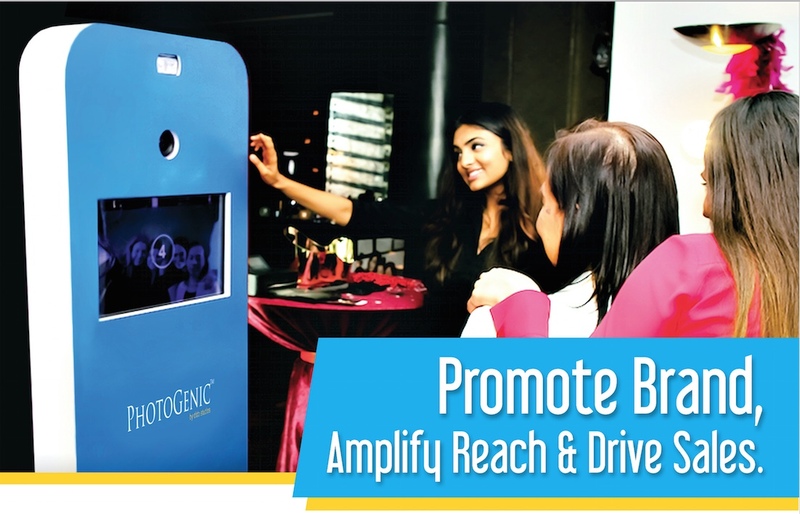 Using photo-tainment and experiential marketing services from PhotoGenic you can pull massive crowds to your stand, intensely engage visitors with your brand, convert them to strong leads, and give each visitor a reason to see you again. Watch video below to learn more about PhotoGenic Services. 1.I WANT HUGE CROWDS TO VISIT MY BOOTH: This is key for every exhibitor. You need to get as many of the event visitors to come to your stand. Using PhotoGenic Fairies, a talented team of roaming photographers, you can attract visitors to your stand by capturing pictures and handing out branded photo souvenirs. Then enabling guests to instantly share their experience on social media. 2. I WANT TO IMMERSE VISITORS IN THE BRAND EXPERIENCE: Using PhotoGenic Photo Booth and Green Screen Technology you can immerse visitors at your stand in the brand experience. This greatly increases likelihood of coverting visitors into strong leads. 3. I WANT TO CAPTURE LEAD CONTACTS FOR FOLLOW UP: And finally, it is important you capture contact information – Names, Emails, Phone Numbers, and much more so you can follow up with leads and work to convert to sales. Using our Data Capture Technology, we enable you with iPads to easily collect contacts and provide comprehensive reporting on engagement. With over 5 years of Winning Customer Service and Proven Reliability, PhotoGenic has successfully partnered with top Brand like HP, Zenith Bank, Oando, Pz Cuzzons, and Etisalat to deliver amazing results. In an increasingly competitive market, PhotoGenic helps markets with truly creative and differentiated solutions. Let PhotoGenic Help You Effectively Engage at Your Next Exhibition! CAPTURE STRONG LEADS. BOOK NOW!